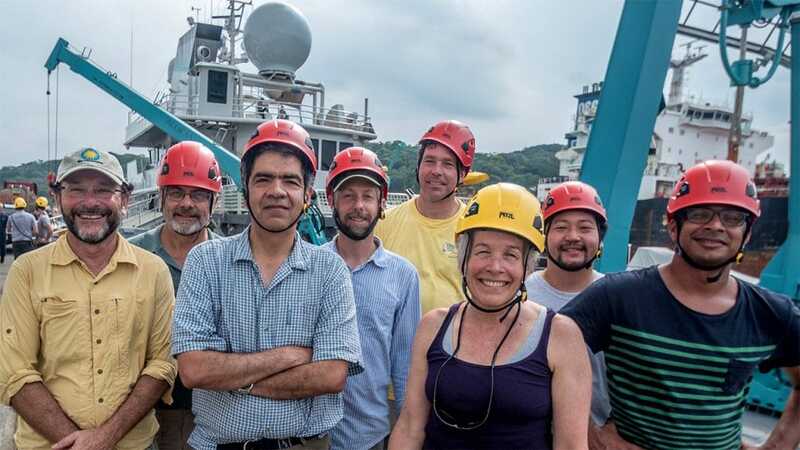 The team, which included colleagues from Point Loma Nazarene University, San Francisco Estuary Institute, and Smithsonian Tropical Research Institute, was working aboard the M/V Alucia. They captured the video of the crab swarm during a dive in the manned submersible Deep Rover 2 on the last diving mission of the month-long expedition in April 2015. The crabs were later identified by DNA sequencing as Pleuroncodes planipes, a species abundant in Baja California and found in the waters off the west coast of Baja California, Gulf of California, and the California Current.This documentation represents a new southernmost range of distribution for the species. 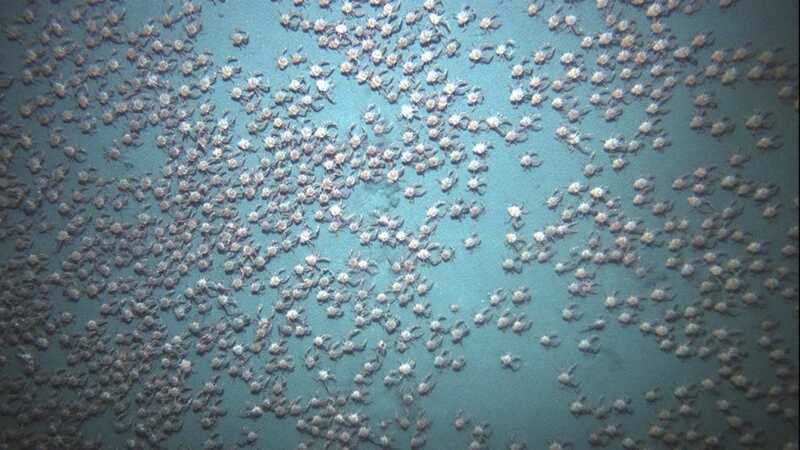 The large aggregation of swarming red crabs was observed along the Northwest flank of the Hannibal Bank Seamount at depths of 355 to 385 meters (approximately 1,164 to 1,263 feet) in an area of “hypoxic” (low oxygen level) water. Also known as tuna crabs because they are favored prey for yellowfin tuna, Pleuroncodes planipes are an important food source for a variety of other fish, birds, and marine mammals. They migrate up and down in the water column, which also makes them vulnerable to changing currents. Seamounts are ecological “hotspots” that are home to thriving communities of unique species. Because less than one percent of these underwater mountains have been studied, the mechanisms that make them so biologically productive are not well understood. The focus of the Panama expedition was to learn more about both the biological and physical processes that make Hannibal Seamount such a rich ecosystem. 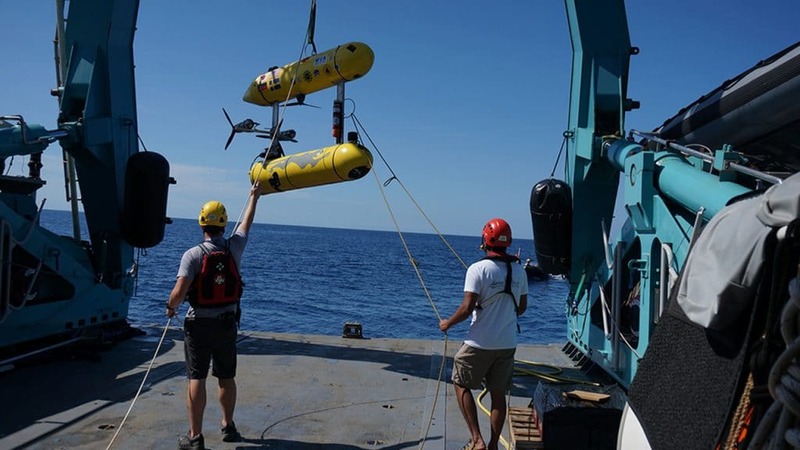 An interdisciplinary team onboard included physical oceanographers, biologists, software scientists, and robotics engineers. Two manned submersibles were utilized to obtain biological samples, while the autonomous underwater vehicle (AUV) Seabed and the autonomous surface vehicle Jetyak were used for mapping and imaging along the seamount, and for obtaining measurements of currents. 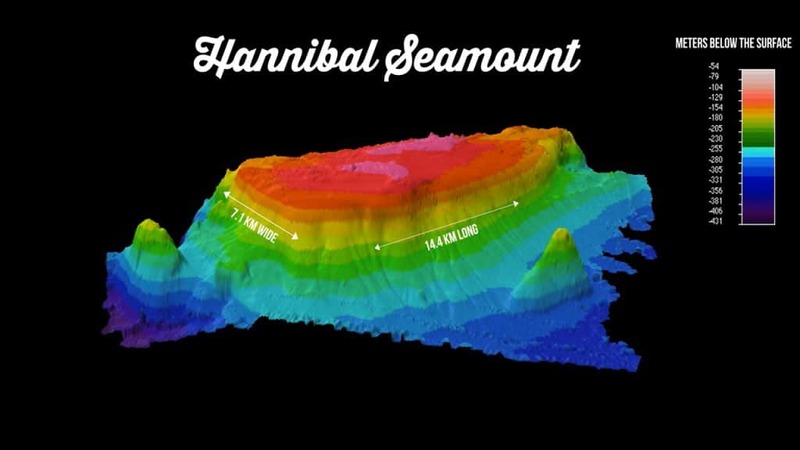 The researchers plan to return to the Hannibal Seamount to further study why seamounts support such high levels of biodiversity. 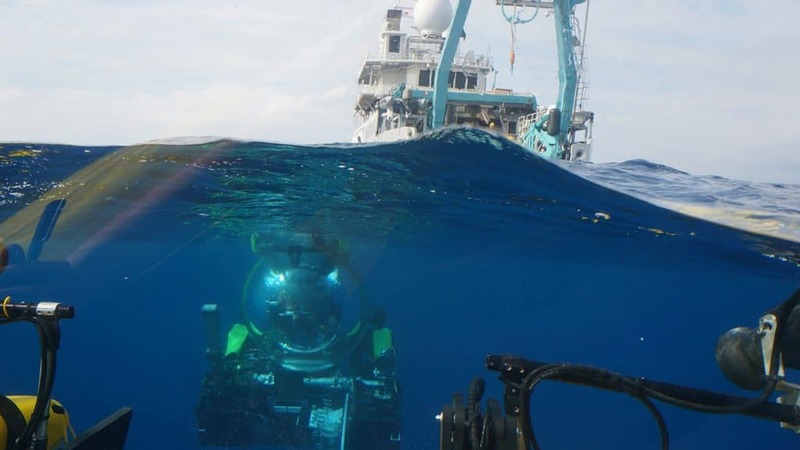 In addition, the deep-water areas of Hannibal Seamount, which lack dissolved oxygen and are acidic, give scientists an opportunity to investigate how communities might look in the future as the ocean responds to climate change. Additional coauthors are Rusty Holleman of San Francisco Estuary Institute, Héctor M. Guzman of Smithsonian Tropical Research Institute, and Victoria Starczak, Annette Govindarajan, Yogesh Girdhar, James Churchill, Hanumant Singh, and David Ralston of WHOI. Funding for this project was provided by a grant to WHOI from the Dalio Ocean Initiative.